Say bye bye to boring food options. Healthy Food Recipes - presents you with a wide collection of all recipes that are not only tasty but healthy as well.. Healthy food is a part of healthy lifestyle. A healthy diet with daily essential nutrients, proteins, carbs, vitamins, and calories helps us to maintain a healthy body. It contains the best collection of very easy & quick to prepare healthy weight loss recipes for Breakfast, Lunch, Dinner, and Snack. Don't Wait? 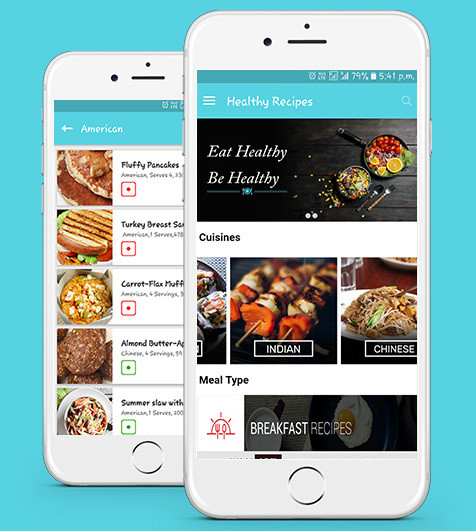 Simply Download the Healthy Recipes App now for Free. Try out all the delicious flavors of food available.